‘Right To Appeal’ Under Income Tax Act. Meaning. Appeal refers to an act of referring the case/matter/situation to a higher authority against the order passed by a lower authority in respect of that case or matter. It implies a complaint to a higher authority against the order or judgement (alleged to be erroneous) of an administrative authority or appellate authority. The complex nature of Income Tax Act and the various rules often, create a situation where there is difference of opinion among the assessee and the assessing officer (i.e.,Income tax department). Quite often, an assessee is not satisfied by an assessment order/any other order issued by any income tax authority and such an aggrieved assessee can present his case before specified authorities prescribed under Income Tax Act. Such prescribed authorities constitute ‘appellate machinery’ or ‘appellate authorities’. The right to appeal is not the natural or inherent right of the assessee. It is available to him only if specifically granted under Income Tax Act. Thus, it is a statutory, right of the assessee and cannot be denied to him by ny orde f Central Board of Direct Tax (CBDT). It can be snatched from the assessee only by a express provision provided under Income Tax Act. Appellant. The person filing an appeal is c,1ied ‘appellant’ or ‘applicant’. Under Income Tax, the first appeal can only be filed by assesseeand—hence only assessee can be appellant in such a case. However, in subsequent appeals (i.e., appeal to ITAT, HC or SC) appellant can be assessee or C.I.T. Defendant / Respondent. The person against whom the appeal is filed is called ‘defendant’ or ‘respondent’. Income Tax Appellate Tribunal (ITAT). An order of assessment made u/s 143(3) or section 144 as regards income assessed or to an amount of loss computed or to the status under which he is assessed. An order of assessment made under section 1 15WE(3) or u/s 1 15WF, where the assessee being an employer objects to the value of fringe benefits assessed. An order of assessment or reassessment made uls 1 15WG. An order made u/s 171 regarding partition of H.U.F. u/s 272BB regarding failure to comply Avith the provisions of section 203A regarding tax deduction account number. An order made by a Deputy Commissioner or Deputy Director (Joint Commissioner or Joint Director from 1-10-98) imposing a penalty u/s 272A regarding failure to sign, answer questions etc. An order made by an Assessing Officer except by Deputy Commissioner, (Joint Commissioner with effect from 1-10-98) under the provisions of this Act in the case of such persons or class of persons as directed by CBDT. where the return has not been filed by the assessee, the assessee has paid an amount equal to the amount of advance tax which was payable by him. Provided that, on an application made by the appellant in this behalf, the Deputy Commissioner (Appeals) may, for reason to be recorded in writing, exempt him from the operation of these provisions. Under Section 250 (1), the D.C. (A) and Commissioner (Appeals) shall fix a day and place for the hearing of the appeal and shall give notice of the same to the appellant and to the I.T.O. against whose order the appeal is preferred. Assessing Officer, either in person or by a representative [Section 250(2)]. The Commissioner (Appeals) shall have the power to adjourn the hearing of the appeal from time to time. [Section 250 (3)]. The Commissioner (Appeals), may before disposing off any appeal, make such further inquiries as they think fit or may direct the Assessing Officer to make further enquiry and report the result of the same. [Section 250 (4)]. The Commissioner (Appeals) may, at the hearing of an appeal, allow the appellant to go into any ground of appeal, not specified in the grounds of appeal, the Commissioner (Appeals) is satisfied that omission of that ground from the form of appeal was not uthori or unreasonable. [Section 251 (5)]. The order of the Commissioner (Appeals) disposing of the appeal shall be in writing and shall state the points for determination, decision thereon and the reason for the decision. [Sec. 250 (6)]. Limitation of period to decide the appeal by Commissioner (Appeals) [Section 250(6)]. With effect from 1-6-1999, the Commissioner (Appeals) may decide upon the appeal (where it is possible) within a period of One year from the end of financial year in which appeal is made. 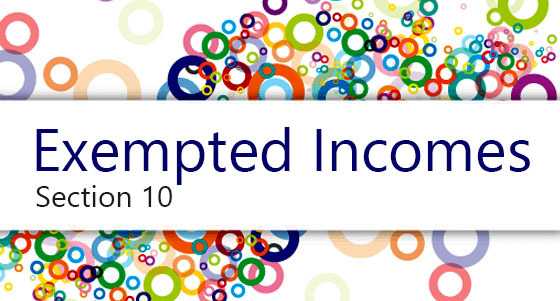 'Appeals' Under Income Tax Act. 1961.